A group of 17 high school student visited DCMS for the first ever DCMS-Round Square Plastics Seminar in early October. 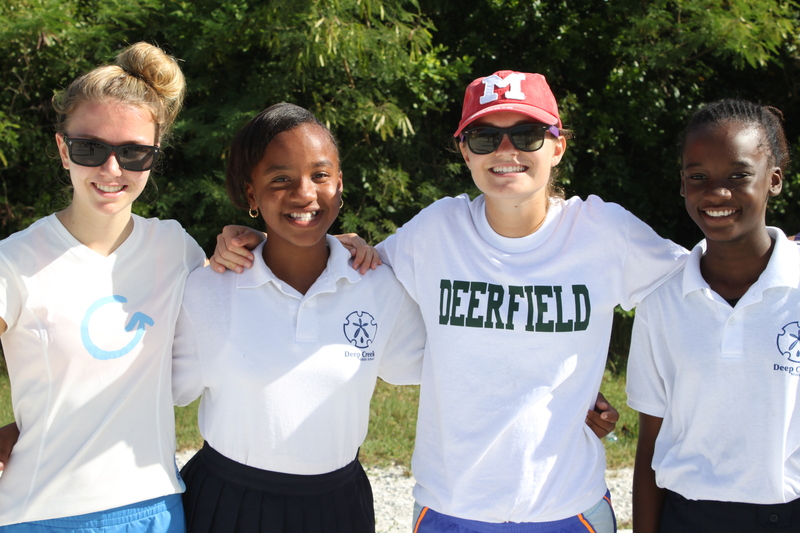 Round Square is a world-wide association of schools that works to develop young people and their approach to life through experiential learning. Visitors were paired with DCMS Eco Club members to share perspectives on plastics pollution and have some fun. Students got to know one another through ice breakers and games. 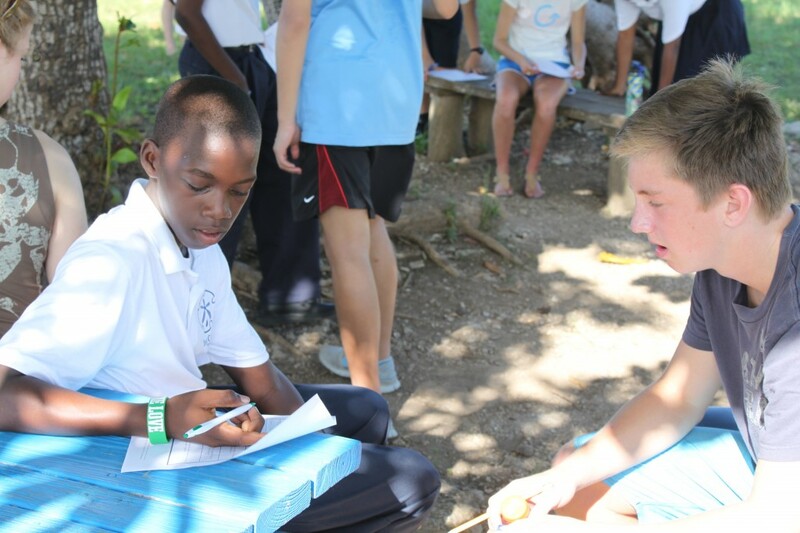 “Mingling with the students was a nice experience because we got to teach them some of our customs and show them some of the activities we do at school when we have free time,” said Eco-Club member Patrick Johnson, grade 9. The seminar was an opportunity for round table discussions on plastic pollution and how it is affecting the environment and our bodies. Students spent the afternoon at Wemyss Bight beach conducting plastic surveys for researcher Kristal Ambrose’s ongoing comparative research project on South Eleuthera’s beaches. “It was great to have different ideas about how to handle plastic pollution. 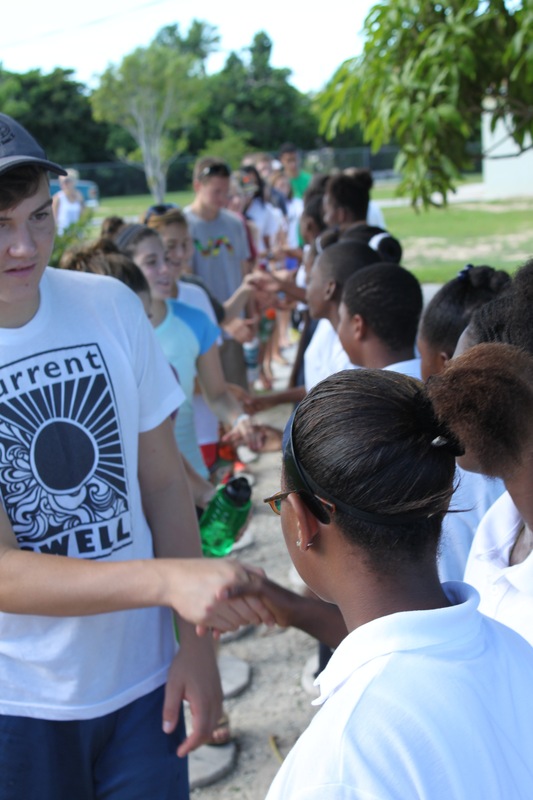 I think it was really fun to show the Round Square students a native beach and how clean it looks, but then show them how dirty it actually is,” said Eco Club president Zachary Carey, grade 9. During their four days on island, Round Square students also spent time with researchers at CEI assisting with experiments, such as lionfish dissections with the lionfish crew. Students and educators alike are hopeful about the possibility of the seminar becoming an annual event.